Bleed is essential to creating a professional print product, ensuring no white edge appears when the final product is trimmed. We have created this post to show you how to add bleed to your design so that the artwork you create is print ready without any delay. The bleed area is 3mm deep from the edge of your artwork all the way around the artwork. It is used as a safety net for when the product is trimmed at the finishing stages. 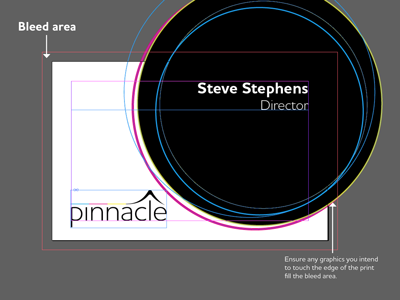 It is standard practice in the print industry and will not hinder your artwork. Sending artwork without bleed will not be accepted and we will contact you to add it before we can approve the artwork. If you send us the original files for the artwork we will happily add the bleed for you but unfortunately most of the time we can not add bleed to a pdf file. 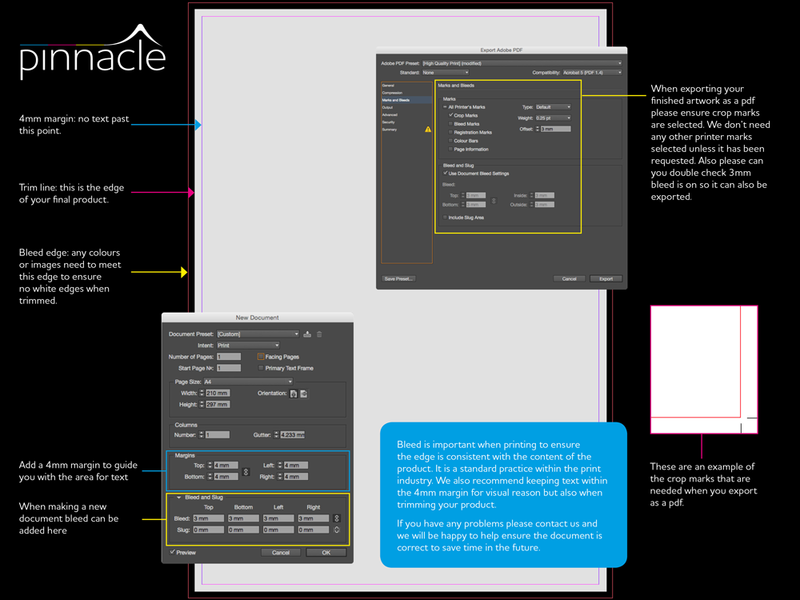 Here is a visual guide to add bleed to your artwork in Adobe Indesign, which we recommend you use to create a print ready pdf. Click image below to see in full size. 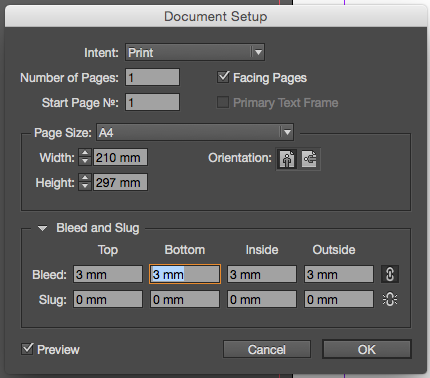 If you are reading this after you have created the document do not worry you can add bleed to an Adobe Indesign file easily. Go to File > Document Setup and add bleed 3mm to all edges. 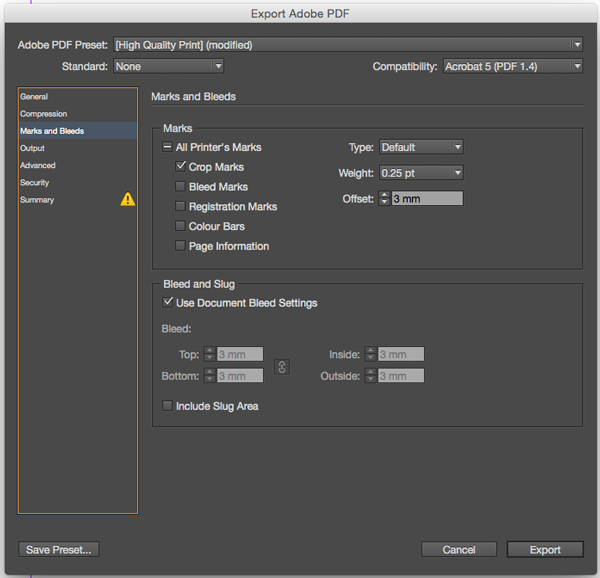 When exporting your pdf please ensure that the ‘Crop Marks’ box and ‘Use Document Bleed Settings’ box is ticked. Please note no other marks are needed unless specified when uploading artwork.